Process training with a team of experienced Learning Consultants who focus on the specific ways you’ll use the product, providing training and materials tailored to your unique internal processes. Change Management services led by certified change management consultants who help organisations navigate their digital transformation or Dynamics 365 journeys. While our course catalogue is rich with options, we know that many organisations have very specific and unique needs. When organisations invest in Dynamics 365, they are also investing in the behavioural changes that employees must make for the system to yield a return. 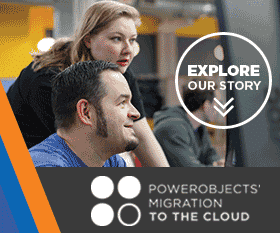 PowerObjects combines extensive Dynamics 365 experience with certified change management expertise to help organisations navigate this transition. When organisations invest in Microsoft Dynamics 365, they are also investing in the behavioral changes that employees must make in order for the system to yield a return. PowerObjects combines our Dynamics 365 and certified change management expertise to help organisations navigate this transition.